Stonehenge Guided Tours from Salisbury Journey back in time to discover Stonehenge, probably the most sophisticated stone circle in the world. Our hop-on hop-off tour picks up in Salisbury city centre and runs to Old Sarum, through the beautiful Wilshire countryside to the magnificent, magical henge. 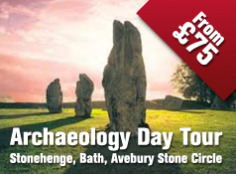 You can buy an all-in-one ticket that gives you admission to Stonehenge as well as the tour, or just pay for the tour and enjoy the ride through the Wiltshire landscape. 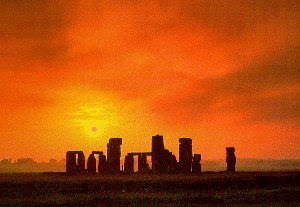 Stonehenge evolved from a simple bank and ditch in the Neolithic period, some 5,000 years ago, to a very sophisticated stone circle built on the axis of the midsummer sunrise. The bluestones were brought 240 miles from the Preseli mountains in Wales. There are many stories about the significance of Stonehenge. It may have been an astronomical observatory or used for sacred rituals linked to the sun, successful crops or even the dead. We simply don’t know, but you can learn about them on the audio tour at the site - it’s in 10 different languages. You can find out more about the history of the site, and view photos and videoclips, at the English Heritage Stonehenge page. Old SarumThe tour takes you by Old Sarum, a huge earthwork raised in about 500BC by Iron Age settlers, and later occupied by Romans, Saxons and Normans. They built a castle and a royal palace, and by the mid-12th century it was a busy town with a fine new cathedral. Lack of water and squabbles between church and military lead to the building of a new settlement by the river, now known as Salisbury. Old Sarum was abandoned and fell into ruin. If you want to take a look at the site, you can get off the tour and rejoin later on - your ticket lasts all day. Stonehenge is just an amazing experience! 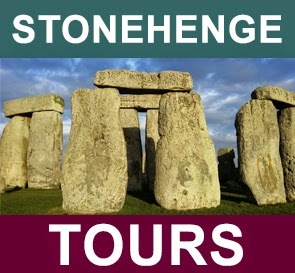 Stonehenge - Admission Ticket, avoid the queues.